Rulers help you to accurately place and measure objects on the canvas. The common ‘0’ point of the horizontal and vertical rulers is the root. You can show and hide rulers in the options menu located in the left lower corner of your view. Guides help you to align text and graphic objects. You can create ruler guides (straight vertical or horizontal lines) to align the objects. 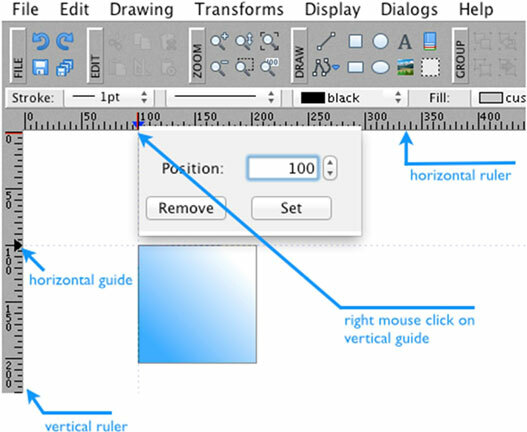 To create a new guide, click on any point on the ruler; the created guide can be moved later. You can set its exact location or delete it by using the right-click menu. Smart guides are temporary orthogonal snap-to-point guides that appear when you are creating or manipulating objects. They help you align, edit, and transform objects in respect to other objects. To enable/disable the smart guides, please click on the Smart Guides icon in the options menu located in the left lower corner of your view. Snap-to-point guides are temporary bullet points that appear when you are creating or manipulating objects. They help you to align your object to other objects. To enable/disable the snap-to-point guides, please click on the snap-to-point icon in the options menu located in the left lower corner of your view. 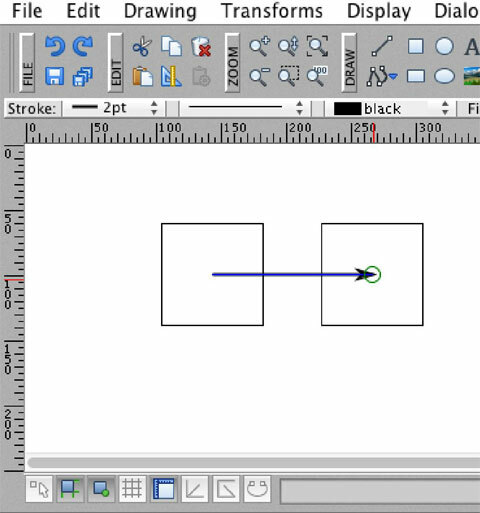 The grid is displayed behind your graphics on the canvas but does not print with the project visualization – objects align automatically when the grid is active. You can activate or deactivate it from the Display menu or the Options bar. To enable/disable the grid, please click on the grid icon in the options menu located in the left lower corner of your view. 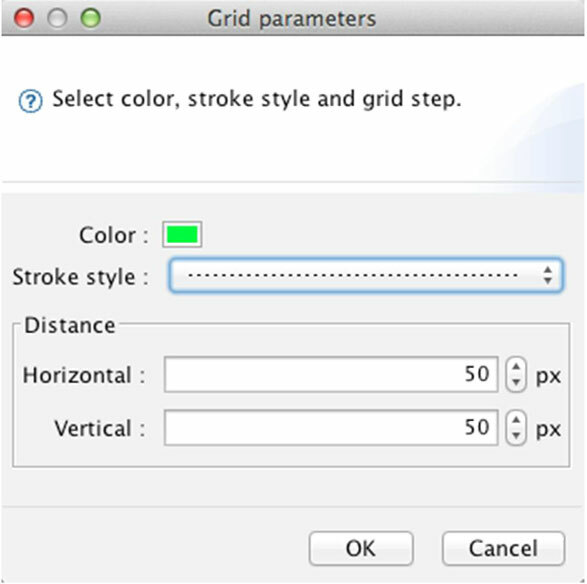 Here you can set the grid parameters like color, stroke style, and the grid step. 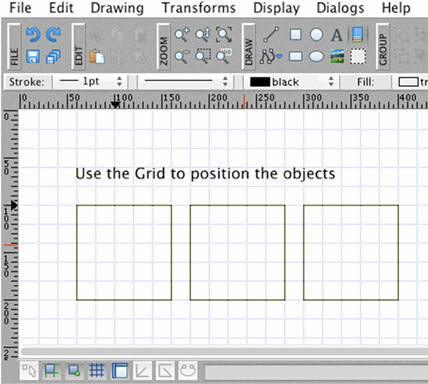 Go to the menu Display –> Grid settings or right-click on the grid icon in the Options bar.